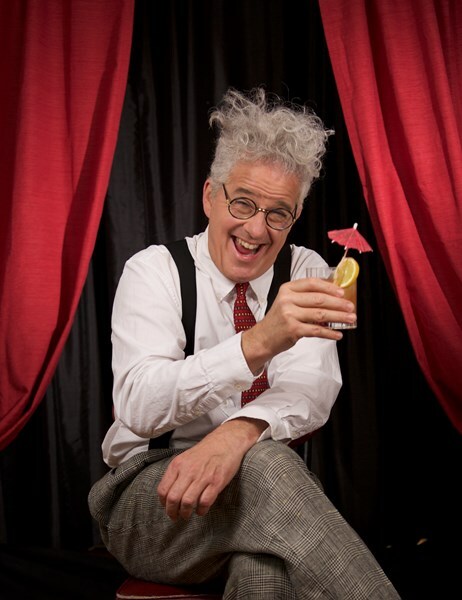 Pappy is a beloved comedian who mixes stand up comedy with classic vaudeville while performing magic and mind reading. He can be family friendly or rated R depending on the audience as he has many a trick up his sleeve. It's quite possible for Pappy to integrate your theme or props into his routine as he loves to write and be adaptable as possible. Everyone in the party will laughing and having a good time guaranteed! 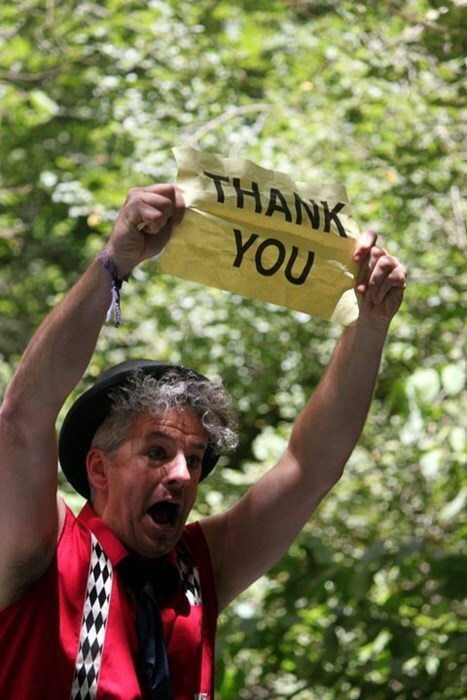 For a decade now, Thomas Schroyer has performed in circuses/theaters/festivals/ and corporate events from San Francisco to NYC and has recently returned from a festival/theater tour in South America. Thomas can easily customize his performance to your vision and goals of your event to give your audience a thoroughly entertaining experience. A typical solo performance would include 1 set of 30-45 minutes. *** For those who want a bigger show on a larger budget, Thomas can certainly accommodate as he has worked with the best entertainers and live bands in the Portland area. "Simply amazing! Mr. Schroyer's use of facial gestures, physical humor, magic and audience participation had our group laughing hysterically and cheering to the point our room doors were closed to prevent disturbing other diners! "Pappy is a welcomed treat to any party!! 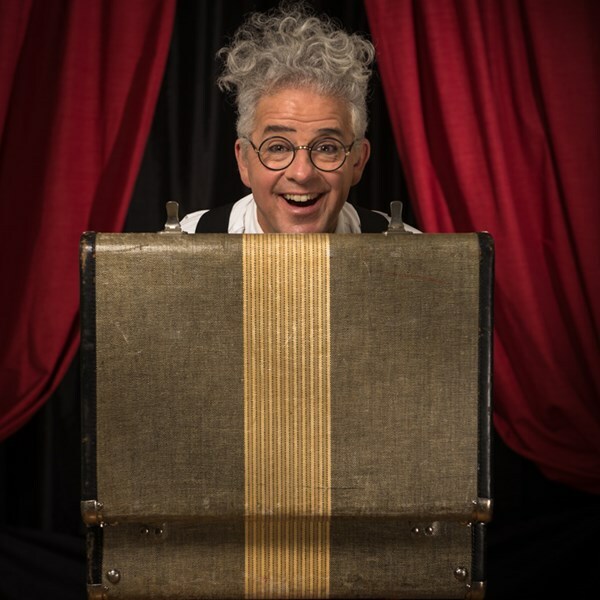 He brings a breath of fresh air, curiosity, humor, and audience participation that will captivate your hearts and minds while putting a smile on your face!! I highly recommend this stella performance for any event!" "By expression, movement, and attitude, Thomas invites us into his non- verbal universe and manages to draw the audience to him from the moment he arrives on stage. I would highly recommend Thomas as a professional and very creative performer and his craft at mime is at its best". "Thomas Schroyer's charming comic character is a descendant of Chaplin's Tramp, but with routines about modern concerns"
"Clever and engaging! Thomas explores and celebrates our universal curiosity in life". Thomas is a gifted physical performer and a heartfelt storyteller, as he completely captivated the audience with the sweetness of his very expressive face and the physical prowess he brought to the performance. Everyone in the audience, as well as his fellow performers, were moved by the honesty of the story of his hearing loss and equally captivated by the demonstration of how much he had turned that loss into an asset. We were impressed with Thomas' improvisational ability to interact with the crowd and invite individuals, young and old, to participate in the sketches. As our organization is very participation-based this was an important element to our presentation. Thomas sweetly condensed our message and we definitely plan to include him in future presentations. "The Beaverton City Library was proud to bring the comic genius of Thomas Schroyer to Washington County. Before our eyes he transformed into the character Tommy Twimble who forced laughter out of us and brought tears of joy to our eyes"
Mr. Schroyer was professional and very easy to work with. He did two programs for us. 1) "Pappy's Suitcase Full of Tricks" - In short, was simply amazing! Mr. Schroyer's use of facial gestures, physical humor, magic and audience participation had our group laughing hysterically and cheering to the point our room doors were closed to prevent disturbing other diners! Prior to the show Mr Schroyer contacted me to find out a bit about our group then tailored the show to us. 2) "Beyond Words" - This program was thought provoking with a delightful touch of humor. Our group really enjoyed this presentation and learned something new about non-verbal communication. I hired Thomas to perform at a birthday party that had a range of guests from kids to adults. Every person in the room was smiling as he performed everything from magic tricks to comedy sketches to juggling. He really turned an average party into something special that guests will not forget. Also, he showed up early, was very professional and managed to turn my living room into a functional stage. I highly recommend hiring Thomas if you want to turn your event into something remarkable. Please note Thomas Schroyer will also travel to Beaverton, Vancouver, Lake Oswego, Tigard, Marylhurst, Clackamas, Aloha, Fairview, Gladstone, Gresham, West Linn, Camas, Troutdale, Tualatin, Hillsboro, Oregon City, Brush Prairie, Boring, Sherwood, Saint John, Wilsonville, Heisson, North Plains, Ridgefield, Washougal, Battle Ground, Corbett, Canby, Cornelius, Scappoose.